This 15-25 "G-2" model began production in 1929 and was the same basic design as the 18-35. 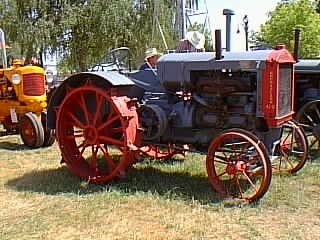 It weighed 4,200 pounds and used a Waukesha 4-cylinder engine. Production ended with the sale of the company to J.I. Case in 1937.